Anna joins her colleagues at Oxford Sparks to celebrate the launch of her new book, The Life of Dad, and explore what dads contribute to their families and our society. Facebook Live and Podcast with Gemma Evans of #Healthhackers. 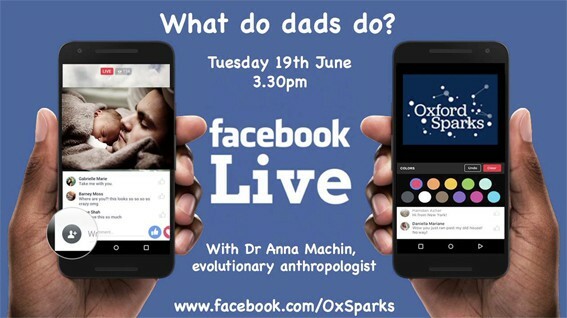 Facebook Live Event with Oxford Sparks.